As the old saying goes, “Defense wins championships.” In the sport of baseball, defense begins and ends with their starting rotation. A team’s success throughout the season and into the playoffs hinges on how well their pitching staff can perform. We bring you a ranking that every team would kill to be on: The Top 10 MLB Pitching Rotations. 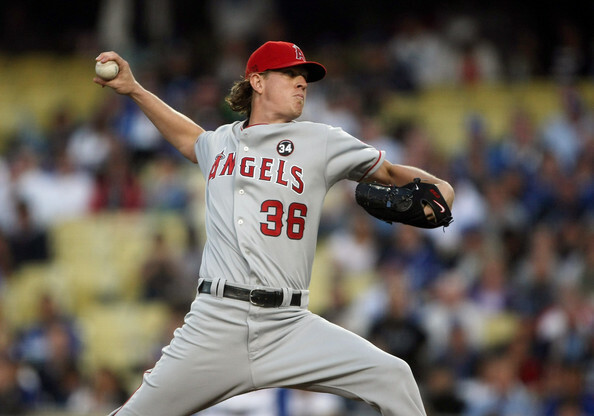 The Angels’ starting pitchers finished 2011 with an ERA of 3.59, good enough for second in the American League. With the addition of one of the best free-agent pitchers in the offseason, C.J. Wilson, they can put together a rotation of five that will be no match for any team in either league. They return their ace, Jered Weaver, who posted a 2.41 ERA last season, and who is just two years removed from leading the league in strikeouts. Any team that can have Ervin Santana, a man who threw a no-hitter last year, as their No. 4 starter is in good shape – and good enough to be ranked first in my book. After falling short of expectations of a world championship last year, the Phillies still bring back three of the top pitchers in the National League. The trio of Roy Halladay, Cliff Lee and Cole Hamels all finished with top-five ERAs in the NL last season. 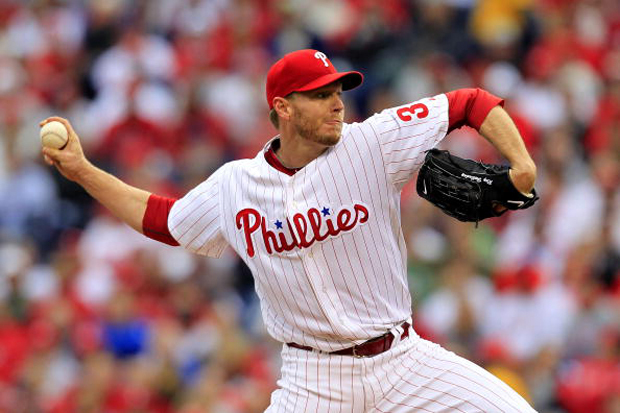 Plus, the Phils’ starting pitching led all teams in ERA at 2.86 in 2011. The only reason this team isn’t ranked first is because they lost Roy Oswalt and have a sophomore in Vance Worley pitching in the four-spot. If he proves me wrong and overcomes the sophomore slump, then this Phillies rotation could very well finish up first again in ERA. Led by two-time Cy Young Award winner Tim Lincecum and an underrated Matt Cain fresh off a new contract, the Giants’ rotation will continue to be one of the best in 2012. The San Fran starting rotation was a huge reason for their World Series win in 2010, and it will be again this year. With a weak offense lacking in big-name sluggers, the pitching for this team is again the most important aspect for them if they want to compete against division rivals like the Diamondbacks and Rockies. 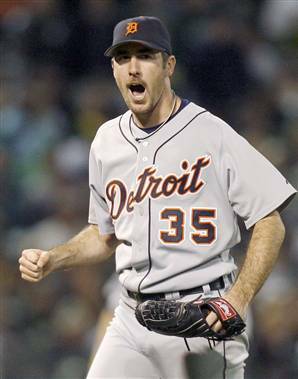 The Tigers are ranked this high for one reason: Justin Verlander. Coming off a Cy Young and MVP season in 2011, Detroit’s ace will once again compete for these awards yet again this year, especially with the addition of Prince Fielder to back him up more often. The Tigers’ starting pitchers’ ERA was a decent 4.10 last season, but what they did do was win games for the team (72). Pitchers need to win games and ultimately a championship. Verlander does more than that for this team. The Rays do it differently than other winning teams. Instead of a veteran ace on top of their rotation, they use young arms to fuel the success of their team. David Price, 25, is poised for strong season as the Rays’ top gun – possibly a Cy Young campaign, as he finished second in the AL voting in 2010. Rookie Matt Moore showed signs of brilliance last season during the playoffs. And you can expect him to have a breakout year even in a tough AL East division. The Yankees will bring back their ace, CC Sabathia, who is a top pitcher in the league every year. He will lead a rotation that will see a couple new faces. Michael Pineda was acquired in the offseason in a trade with the Mariners, and he is no normal addition. This man can straight gun the ball, and is predicted to be more successful than his former teammate, King Felix. In addition, the Yankees signed Hiroki Kuroda in the offseason, who can provide middle-of-the rotation insurance behind Sabathia and sophomore Ivan Nova. In some baseball previews, the D-backs are predicted to not only win the NL Pennant but also the World Series. This is in large part due to the emergence of Ian Kennedy as a reliable No. 1 guy on their staff. He will head a rotation that also features a young Daniel Hudson, and two pitchers that struggled in past years but may find more success towards the bottom of the five-man rotation, Joe Saunders and Trevor Cahill. The Marlins made a splash with their new ballpark and new hometown with their many offseason acquisitions. 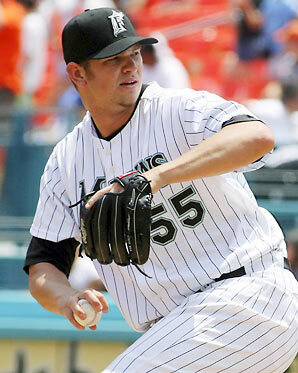 But the additions of Carlos Zambrano and Mark Buehrle from free agency to their rotation are overshadowed. With all of the offseason news, one must not forget the beast that exists in Josh Johnson. 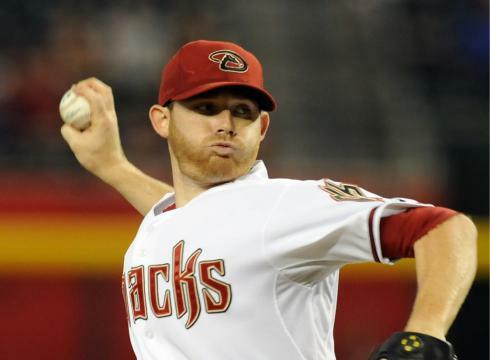 Coming off an injury-plagued 2011season, Johnson will contend for an NL Cy Young. Johnson is a force to be reckoned with, and with the help of their revamped starting rotation the Marlins could contend with the Phillies for the NL East title. The World Series champions from last season would be higher up on this list if Adam Wainwright and Chris Carpenter were completely healthy. Wainwright missed all of last season due to Tommy John surgery and Carpenter is out right now due to an injury. These two pitchers are – or were – aces and a one-two punch that can compare to that of any team when fully healthy. Behind them, Jaime Garcia is a pitcher who shows good stuff and will get more chances to post good numbers as the No. 3 starter. The Rangers lost a good pitcher in Wilson to their division-rival. However, they added one of the hot commodities this past offseason in Japanese pitcher Yu Darvish. This is a pitcher who showed promising stuff during the minor leagues after striking out batter after batter. The Rangers’ former closer, Neftali Feliz, will make the transition to the rotation after dominating as the stopper in the past couple seasons. Also, keep in mind that this is a rotation that got the Rangers to back-to-back World Series in 2010 and 2011. Don’t be surprised if they make it back there for a third consecutive year and reverse their fortune.